UPS Testing Drone Delivery Services #Drones #dronedelivery « Adafruit Industries – Makers, hackers, artists, designers and engineers! Looks like UPS is up to some cool stuff. UPS is grappling with lower margins for e-commerce, which have dented earnings. Businesses typically get more packages per stop than residences, making delivery to individual homes more expensive. Drones could be one way to reduce those costs…. 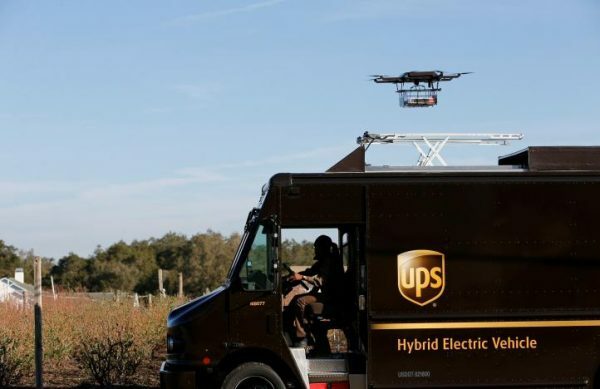 In Monday’s test, a drone launched from the roof of a UPS vehicle flew autonomously toward its destination, dropped a package and then returned to the vehicle as the driver continued on a delivery route.